If you are an event organiser, you may have heard of the event registration software from your peers. While your current set up may seem like it’s still working, it makes you curious that there already is a software made especially for the registration process. What is it exactly? Why do you need it? What can you do with it? And what qualities should you look for with this type of software for online event registration? This is a concise guide that will help you with your research if you’re likely to invest in a registration software in the future. What is an event registration software? 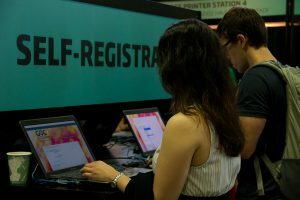 A registration software is a straightforward solution for attendee registration during your events. It can be integrated into your event website to allow your attendees to register and pay online. This type of software pertains to cloud software which is accessible to anyone who has an internet connection and a working browser. It materialises through registration and payment forms to allow your attendees to log their personal details and confirm their attendance in your events. You need an event registration software to automate the registration process and to leave a lasting impression to your attendees before the event. If you are still using old school methods such as paper registration – or where interested parties would need to email completed registration forms or call your office – you are lagging behind the times since event registration can now be done instantaneously through websites. What can you do specifically with an event registration software? If you are hosting a paid event, you may create different ticket types based on seating blocks or delegate types through an online event registration software. Concerts, for example, require you to create tickets of varied prices to meet the different budgets of your target audience. On the other hand, professional conferences necessitate ticket types based on the type of participation such as for guests, exhibitors, speakers, etc. It is also likely that you would need to accommodate VIP clients. Through an event registration software, you may easily allow clients to purchase VIP tickets. 2.) An event online registration tool can be integrated with different payment platforms. As mentioned in the previous item, an event online registration tool can be used for ticket purchasing. It makes the payment process convenient for your attendees since you can integrate different payment platforms. May you be using payment gateways for credit card payments or third party platforms such as PayPal or Stripe, your attendees will have different options for check-out through the software. 3.) Booking online event registration can be shared easily through social media. Booking online event registration through your event website would also allow you to effectively launch a social media campaign. By simply sharing a link to your event website, you may invite people to know more about your event and ultimately register online. In Facebook, you may pay a minimal fee to launch sponsored posts. 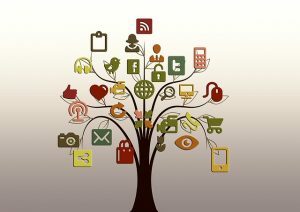 There are also other social media strategies that you or your staff may employ to effectively market your event online. 4.) Online registration tools make you manage your attendee list better. One of the best uses of online registration tools is that they allow you to manage your guest list. Since the event registration software allows database management, you will have special access to pertinent data and sort out your guest list before, during, and after your event. You may also manually confirm or cancel the attendance of your guests through the software. Many event registration software providers are optimising their solutions to include an onsite check-in app. The mobile application will work hand in hand with the registration software to make check-in of guests on the day of your event fast and error-free. The onsite check-in app has special functions such as reading QR codes found on your attendees’ tickets. This reduces human traffic at your venue’s entrance since attendees are allowed entry in a matter of seconds. Last but not the least, an event registration form found in a registration software can be branded after your company. There are many white label software providers that would allow you to use your company name and design instead of the software name on your event website. This prevents confusion from registrants who may be wondering why registering for your event has to be done through a third party software website. If you would like to find out about onsite registration and how you can do it through a mobile app, read more about the event app.